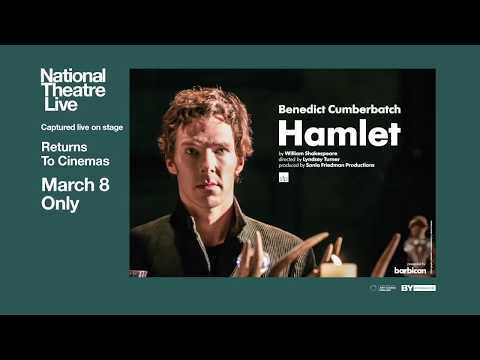 This production of “Hamlet” was originally staged at the Barbican Theatre in August 2015. As a country arms itself for war, a family tears itself apart. Forced to avenge his father’s death but paralyzed by the task ahead, Hamlet rages against the impossibility of his predicament, threatening both his sanity and the security of the state. Academy Award®-nominee Benedict Cumberbatch (BBC’s Sherlock, The Imitation Game) takes on the title role of Shakespeare’s great tragedy. Directed by Lyndsey Turner (Posh, Chimerica) and produced by Sonia Friedman Productions, the original 2015 broadcast was experienced by over half a million people worldwide.